AuttyW: Cast A Spell of Twinkling Glitter! Cast A Spell of Twinkling Glitter! Hey everyone! I hope that you are doing well! So, I wound up getting sick AGAIN, two days after I got over the original things I had. Completely ridiculous right? It stinks having a crappy immune system/small lungs. Total drag! Anyways, not only did being sick get me down, but I realized, since I don't have a dedicated space at the moment, I totally hate being on my laptop. It's actually kind of a hassle for me to be honest, so that's draining on me as well. It's just a big stink fest over here. I'm actually using my Dad's desktop as I write this because I totally could do with a desktop and just not bother with laptops anymore. I've had a laptop ever since... oh good lord middle school!? Maybe even before then, but you get the point. Crazy. With all of that being said, I did manage to do my nails. Wow right?! However, figures that I would smudge them! I didn't want to re-do them for a 5th time, so we're going to have to deal with the smudgie. I did try and cover it up and thought I did a pretty good job, that is until I saw the pictures! Pictures never lie...well unless it's adding more pounds, then that's a lie. It's a win/lose kinda thing. Hah! Just totally pretend that you don't see the smudges and that it's just a freaky reflection. Cool? Cool. I used Hairspray & High Heels DIY Gel Nail tutorial as a basic base of this manicure. Mucho pretty right?! I looooove that you can see rainbows in the glitter. So. Cool! This is a close up of Twinkling Glitter, look how crazy that is! Ugh love it. Twinkling Glitter is made up of different sized hexagonal glitter. You can still see a little bit of the rainbow here, but it's more matte (obviously). I'm undecided on which I like. 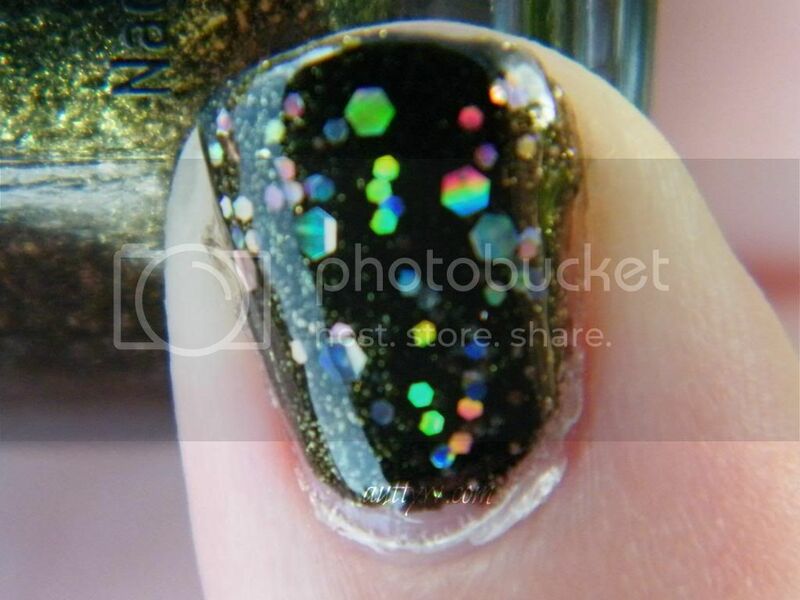 Okay, I love it crazy shiny as well as matte so I can't really choose. Thank you!! :D Oh girl yes! It was so shiny! I was bummed that I had to take it off! 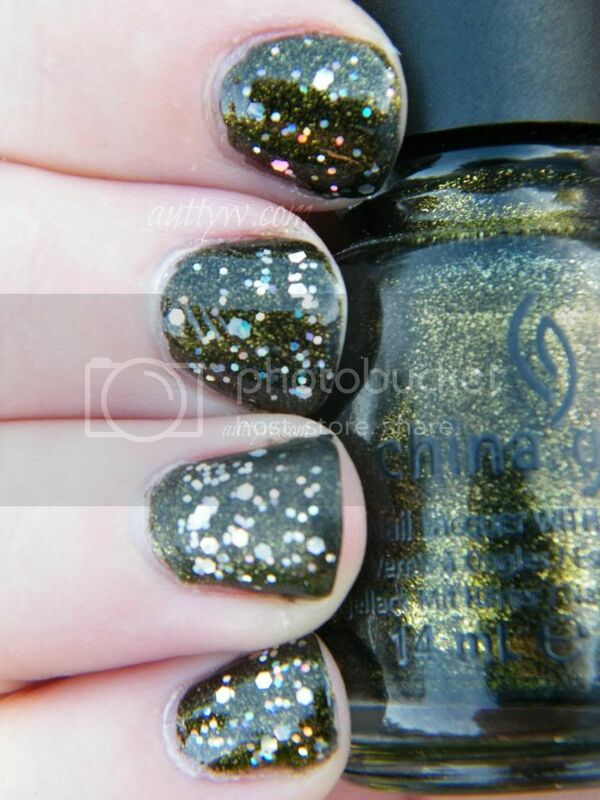 :( I plan on doing a post with this polish by itself without the glitter, it's so gorgeous! Holy wow! What a pretty color. I am totally in love with glitter! So nice to meet you today. I am visiting via your comment at SITS. Thank you so much!! :D It's such a gorgeous glitter! I just wish it was readily available to the public!